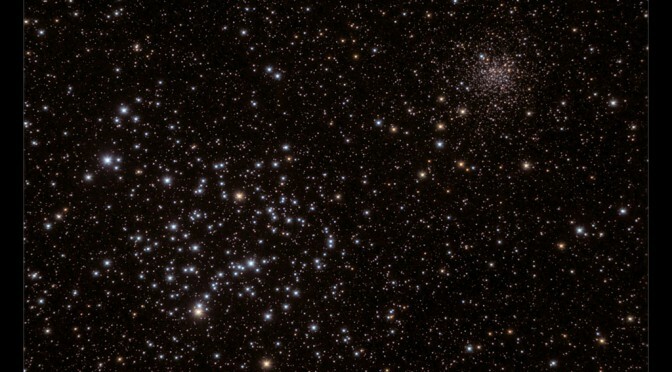 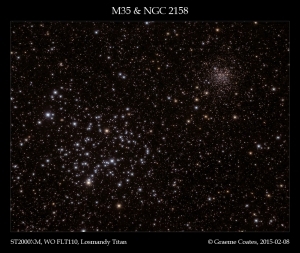 M35 and NGC2158 are a pair of open clusters which, similarly to the more famous h and X Persei, are viewed nearly on the same line of sight from Earth. 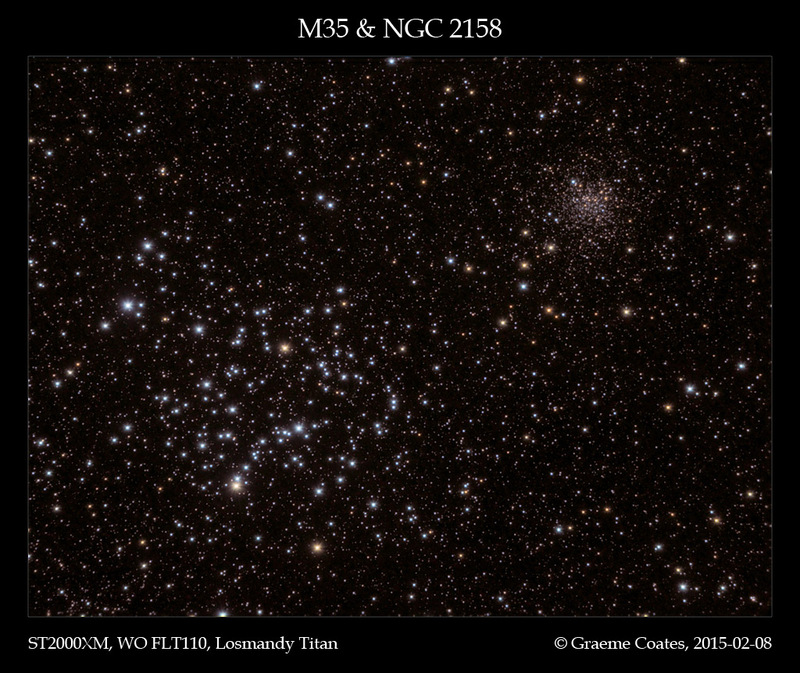 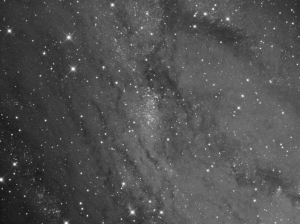 M35 is somewhat younger (as evidenced by the predominantly blue stars as compared to the older yellow stars in NGC2158), and a lot closer to us – while NGC2158 is more compact with more stars in the same volume. LRGB: 20:9:9:9 each in 1min subs.